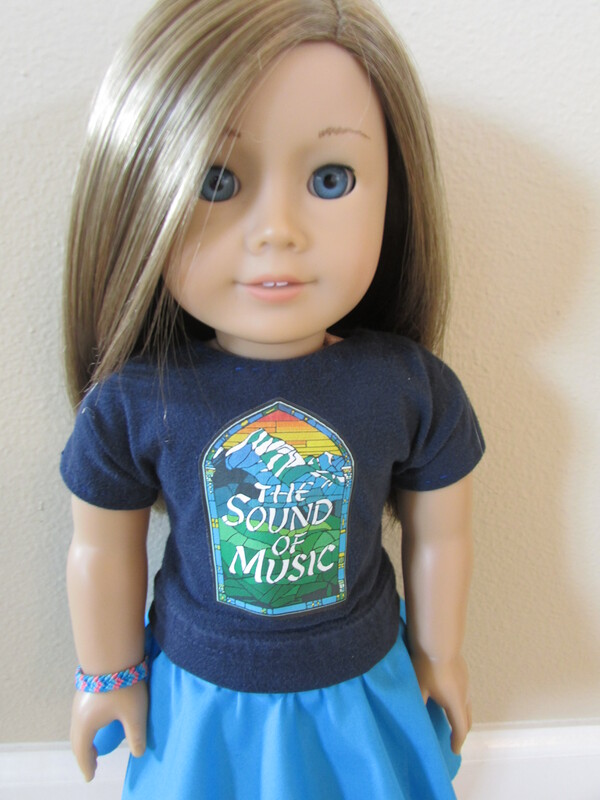 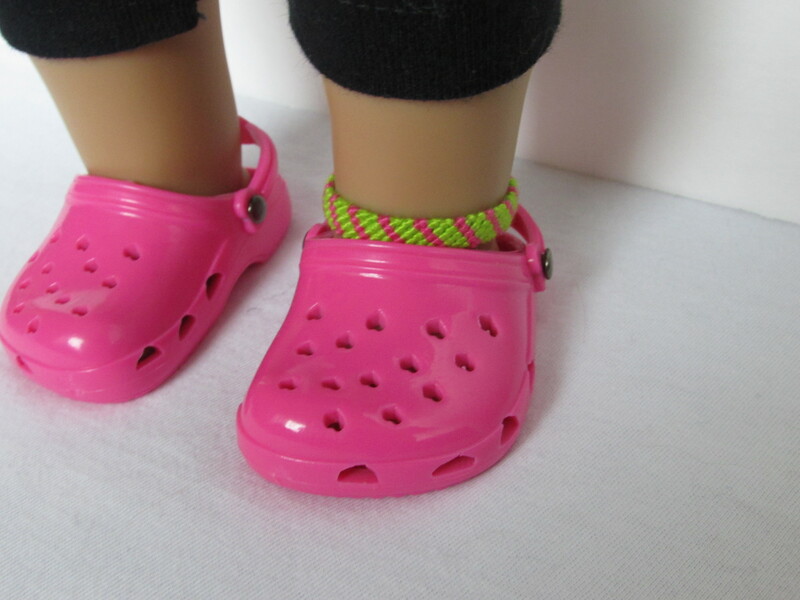 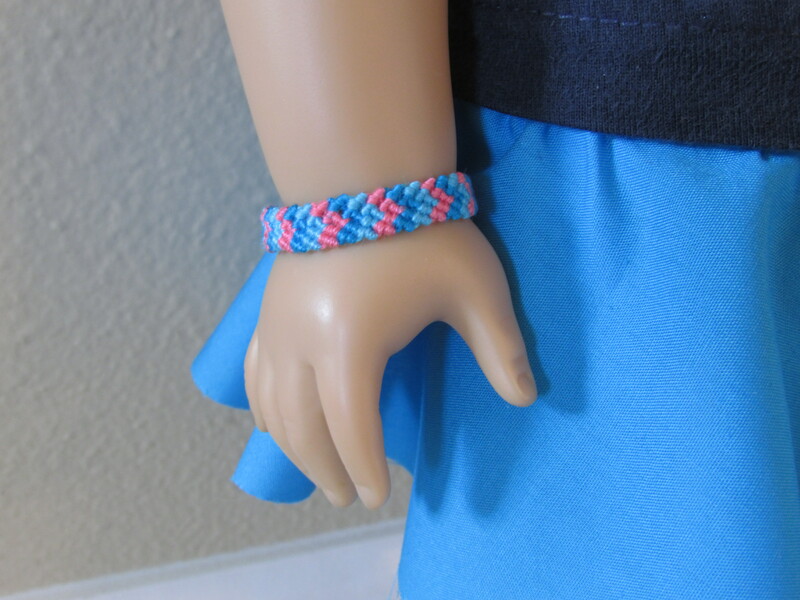 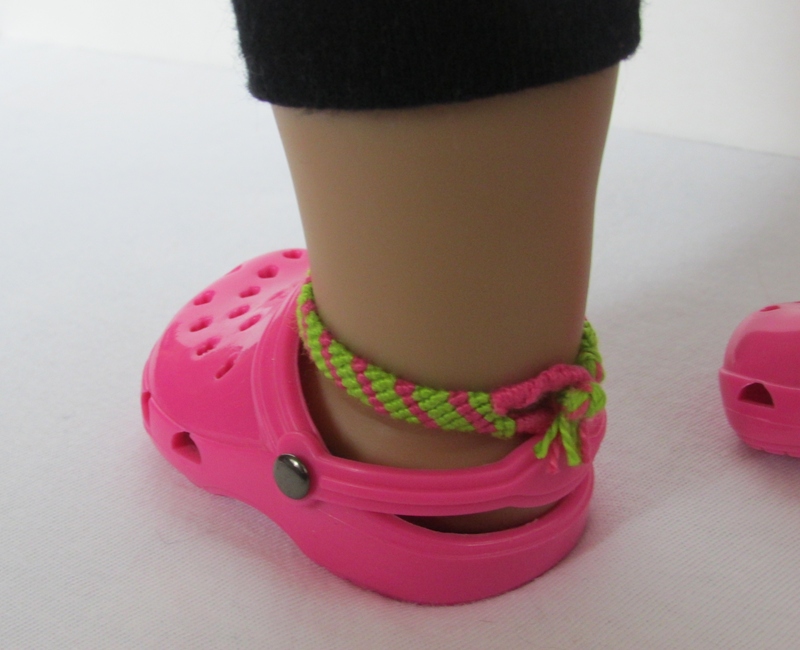 Friendship bracelets are great accessories, especially for a doll! 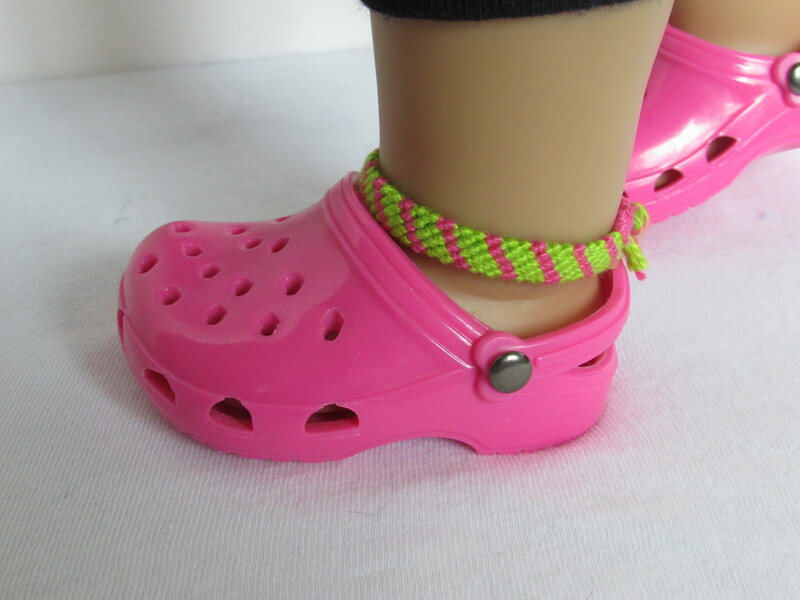 This anklet I made with lime green and hot pink craft thread. 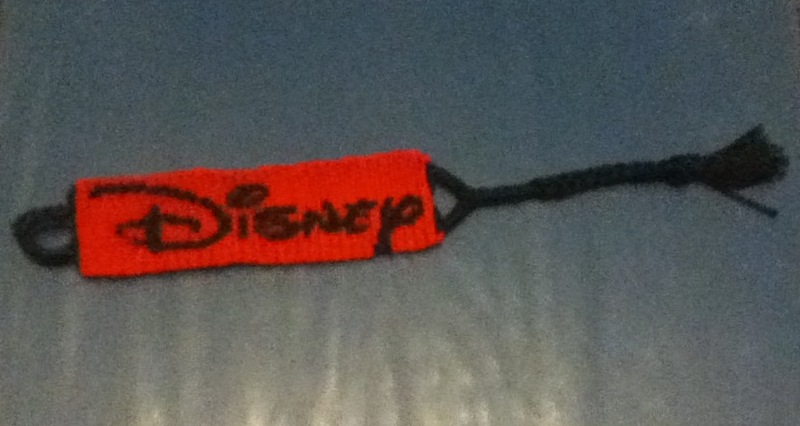 It is 4 inches long, and attaches with a loop and knot. 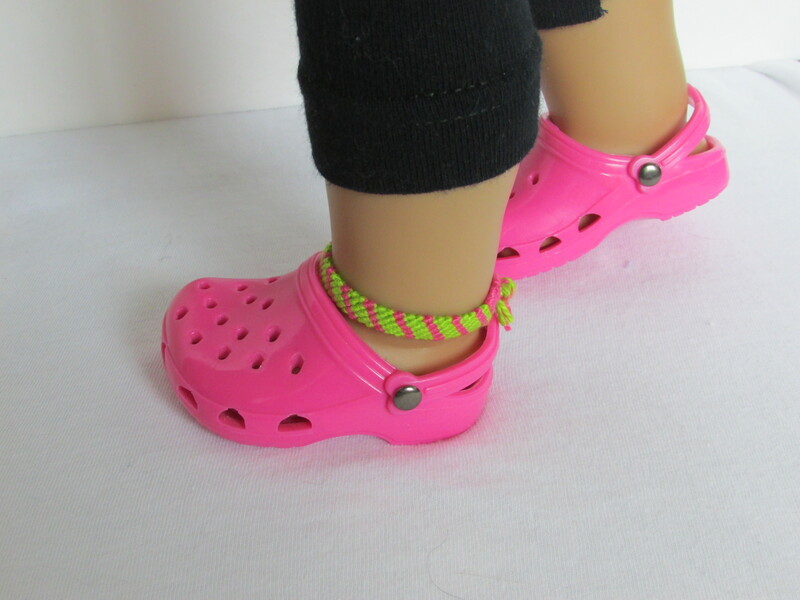 The anklet is six knots wide. 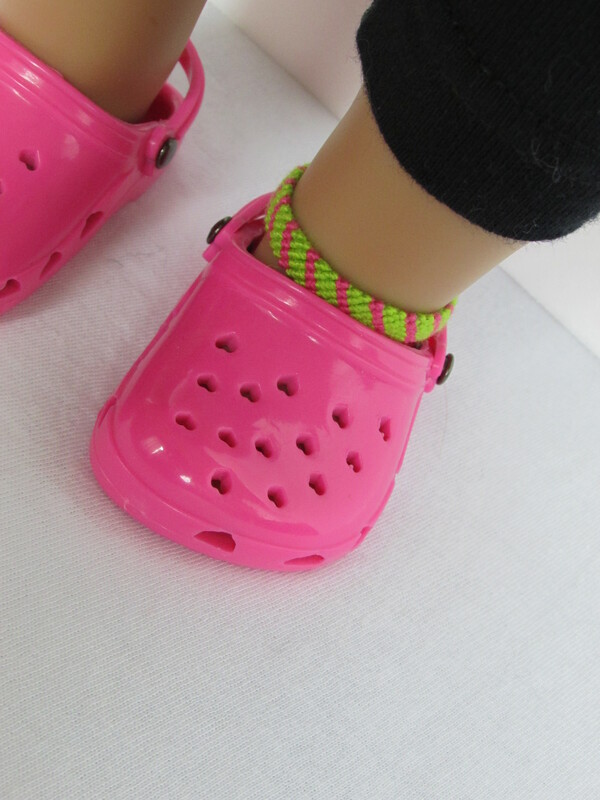 Here is a good tutorial to make one. 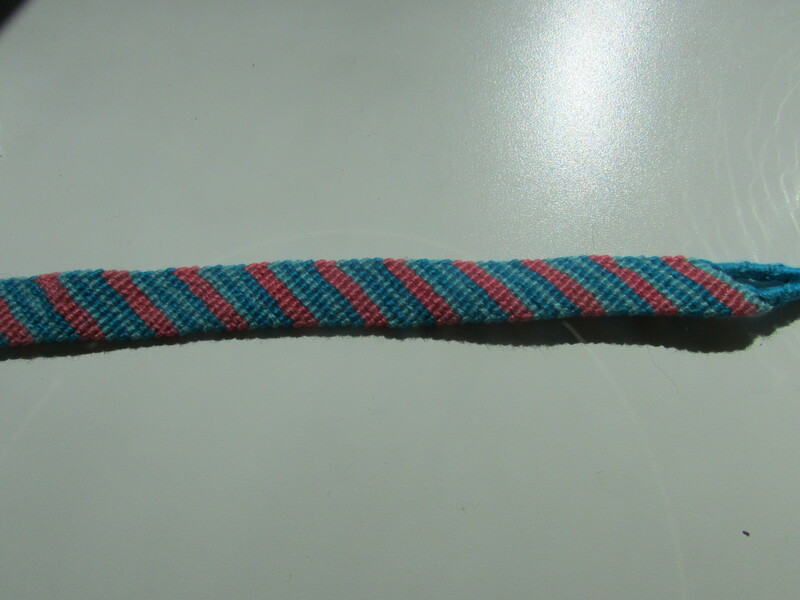 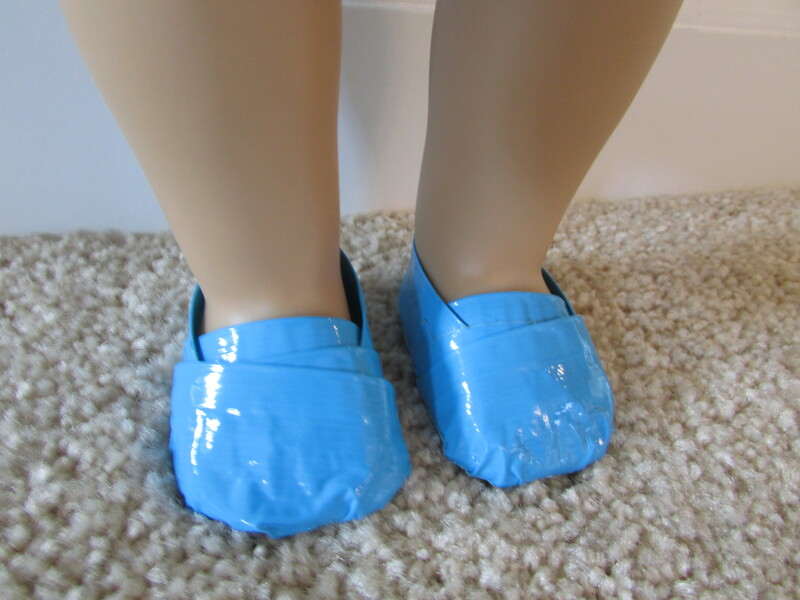 It is quick, simple and cute!